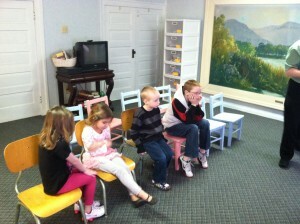 Our children are vital to the life of the church and we realize their need for age-appropriate worship. The children remain with us in our sanctuary through the early part of worship and following the pastor’s “Children’s Moment,” they move to the Children’s Worship Center to continue worship under the leadership of loving and caring adults. The children have come to love this time of worship, learning and sharing.